Rochester Institute of Technology is presenting a three-day workshop about artificial intelligence and how the technology is being developed to advance industries such as manufacturing, security and heath care. Taking place June 27–29 on the RIT campus, the workshop is for scientists, engineers and technical managers who want to better understand the technology applications to apply them within their work. Registration is underway and can be done online. The cost of the workshop is $1,350, with discounted rates for groups of registrants from the same company. Sessions take place from 9 a.m. to 5 p.m. in Hugh Carey Hall, rooms 2575 and 2585. Breakfast and lunch will be served each day. Instructors are Raymond Ptucha, assistant professor of computer engineering, and Majid Rabbani, visiting professor of electrical engineering; both are faculty-researchers in RIT’s Kate Gleason College of Engineering. AI and other cognitive technologies are about making smarter computing systems and devices that are more robust in perception, problem-solving and reasoning. By classifying data, computers can continually learn and clarify information toward solutions. For example, identification of various objects such as vehicles, curbs and traffic signals can advance autonomous vehicle technologies. Over the three days of the workshop, participants will have an introduction to machine learning—the process being used to develop AI technologies—and participate in hands-on exercises to build AI models. Minimal machine learning experience is necessary, particularly in the ability complete simple programming tasks. 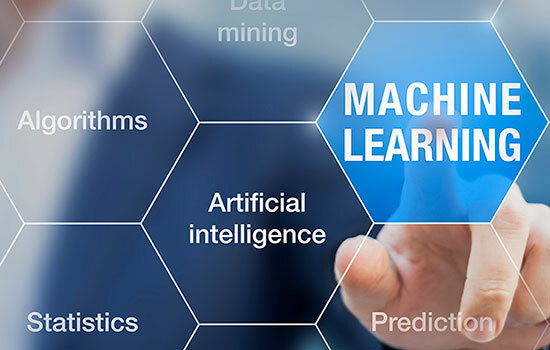 “Machine learning and deep learning are transforming so many facets of our lives, from social media interaction, to speech recognition, to medical diagnosis, to security, to autonomous driving. This is a great opportunity to see what this is all about. At the end of three days, registrants will understand the latest concepts and be able to build their own state-of-the-art models using their own data,” said Ptucha, director of RIT’s Machine Intelligence Laboratory. He is an expert in machine learning, computer vision and robotics, teaching courses and leading research in these topics areas. One area of research is in autonomous vehicle technology. Ptucha is also a certified instructor and university ambassador for the NVIDIA Deep Learning Institute. Rabbani has more than 35 years of experience in digital signal, imaging and video processing and analysis. He was part of the Kodak Research Laboratories and designated one of the company’s Fellows in 2016. Rabbani has been recognized as a distinguished inventor and received numerous awards, including being the co-recipient of two Engineering Emmy Awards, given by the Academy of Motion Picture Arts and Sciences. More information about the workshop can be found at: http://www.rit.edu/kgcoe/cqas/machinelearning or by contacting the John D. Hromi Center for Quality and Applied Statistics at cqas@rit.edu.